I hope you’re enjoying your President’s Day. Coming up on “Great Soul Performances” will be: Larry Graham & Graham Central Station, Freda Payne, Nick Ashford & Valerie Simpson, Nina Simone, Smokey Robinson & the Miracles, the Righteous Brothers, Sylvia, Josh Stone, Harold Melvin & the Blue Notes, Minnie Riperton, the Four Tops, Luther Vandross; live in concert, and more. Drop by at 7PM ET, 6PM CT, 5PM MT & 4PM PT for “Great Soul Performances” on the “Home of the Hits,” RadioMaxMusic.Com. I think we need some “Sweet Soul Music” on this day after the City of Lights, Paris, was so brutally and viciously attacked last night. We stand in solidarity with the people of France #peaceforparis, America’s first ally. 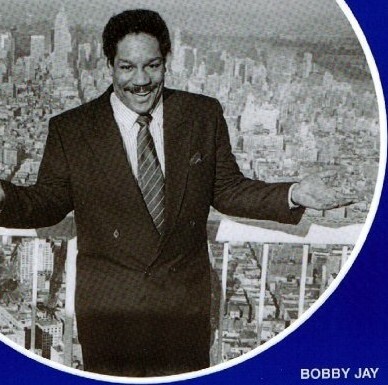 This evening on “Great Soul Performances” you’ll hear: Ike & Tina Turner, Billy Vera & Judy Clay, Harold Melvin & the Blue Notes, Teddy Pendergrass, James Brown, Eugene Pitt, Smokey Robinson & the Miracles, J.R. Bailey, Barry White, Jesse Belvin, another cut from the new Jerry Lawson CD, a track from James Brown disciple Earl Swindell; known as “Third World Earl,” my buddy Timothy Wilson with the Serenaders and a selection from his current CD, and a live track, in concert from my favorite venue in world “The Bottom Line” in Greenwich Village in NYC, you’ll hear Tony Orlando during the recording of his first ever “live” album. I’m also going to profile the late Allen Toussaint, who passed away on Monday in Madrid, Spain. It’s gonna be a full plate and you don’t want to miss any of it. Join me at 7PM ET, 6PM CT, 5PM MT & 4PM PT for “Great Soul Performances” on RadioMaxMusic.Com. Well, with this massive, oppressive heatwave gripping the nation, let’s cool it off with some “Sweet Soul Music” this evening on “Great Soul Performances.” On tap I’ve got songs by: The Temptations, Brenda & the Tabulations, Joe Tex, the Unifics, MFSB, New York City, Ron Tyson & the Ethics, Smokey Robinson & the Miracles, Donnie Elbert, Patti LaBelle & the Bluebelles, Lou Rawls, Donna Summer; live in concert in N.Y.C. and a “cooler” full of other fantastic songs by fantastic artists. The party begins at 7PM ET, 6PM CT, 5PM MT and 4PM PT. I’ll be looking for your “face in the place” here with “Great Soul Performances” on RadioMaxMusic.Com. On “Great Soul Performances” this evening, we’re going to remember and salute the year 1965. 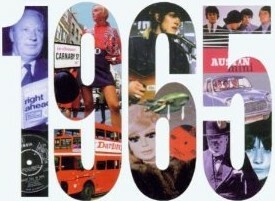 We’ll look back on what was going on in ’65, as well playing those fantabulous songs from that year. You’ll hear artists like Joe Tex, Fontella Bass, Len Barry, the Royalettes, Little Milton, James Brown, Smokey Robinson & the Miracles, Billy Stewart, the Walker Brothers, Mel Carter, Little Anthony & the Imperials, the Ramsey Lewis Trio; live in concert, and many more. We’ll kick it off at 7PM EDT, 6PM CT, 5PM MT & 4PM PT. So join me later for some holiday weekend fun on the best station on the internet, RadioMaxMusic.com.